2014: put bass-guitar aside, grabbed sticks. Started to learn drumming. Nov. 2012: Birth of my 2nd daughter, Greta Johanna. Cute thing, you've turned us into insomniac zombies. March 2013: working hard on two software projects at u-he, to be shown at the Frankfurt Musikmesse, in April. TBA. Going on Easter vacation here. Before, just some new life signs. A new & fresh approach to amp modelling. Amp & cabinet are 100% analog/physical modelling. No convolution. 100% responsiveness, character, soul. No static sound as often associated with amp sims. This thing lives, and responds in a very sensitive way to your guitar/bass & playing style. No-nonsense all-in-one approach. Most stuff is there: stomps, tuner, amp, cabinet, 2 studio-style post-fx units. But no looper, no tape recorder, no gadgets. No emulations of Fenders, Marshalls, Mesas, Ampegs, whatever. 100% custom-amp technology. Built from the ground up. Packed with endless ways to sculpture the sound. Capable of re-creating famous tones, but also achieve new ones. Full midi control. Every internal parameter can be externally controlled. Powerful, yet laughably easy. Scheduled for early summer within Samplitude 11 and as VST (to be announced). Because of the ever-increasing flood of spam, I've deleted my old email address (sascha@digitalfishphones.com). For those who are curious about the upcoming VariVerb (in Samplitude/Sequoia V9), here are a few snippets that I've made this morning. The processed files use the built-in presets. For clarity, I've mentioned the underlying algorithm in the file name. ...meanwhile at Magix... It's taken me almost a whole year of intensive research, coding, testing etc. It's a high-quality box full of lush, dense & classic reverberation that follows the path of renowned outboard gear. Really, no convolution is taking place. Some aspects of reverberation can't be captured by impulse responses. VariVerb is based on different algorithmic models (and I *mean* different, not just different param sets like some others...). Every algo takes a different approach to reverberation and introduces an own sonic character. That adds up to a versatile and variable reverb box. Hence the name. The am|phibia tube preamp / channel strip. We've already shown it to some people at the Musikmesse, though we couldn't present it in its whole beauty. What is it? It 's really like having many boxes in one. Adding tube tone to vocals? Want hard-kicked opto limiting as un-digital as can be? Classic, responsive eq-network/delay-line based cabinet simulation? Real, dynamic, bottom-shaking tube tone, not cheap waveshaping? Anything more from the ex-fish kitchen? Well, the other 'analogue modelling suite' tools (am|track, am|pulse) were revised, refined, redesigned and equipped with new functionality. They'll look and - surely more important - sound better now. As said, coming with Sam/Seq V9. That's all for now. I just wanted to give some new live signs here. - No, no ever-so-simple additions, improvements, bugfixes, customizations to the existing plugins. Pointless to ask because I've stopped developing that freeware long ago. - No, no ports to other plugin formats such as RTAS. Okay, we've recently finished the development of Samplitude v8 & Sequoia v8 at Magix and both are available since 2 weeks (in Germany). I got tons of work load to do with the analogue modelling suite and the robota drumsynth that I'm pretty exhausted right now (but it's been worth it, really!). At Caretaker, we've partly shifted our time schedule for the release of our album due to that. Hum. So the album will come out late September, I think. We're giving a 40min live set a the cult open air 'Umsonst & Drau�en' ('free & outdoors') in D-32602 Vlotho on Fri, Aug. 27th. So if you're around, drop on by. For those trying to contact me during the next days & weeks: I'll be off the net (going on holidays) until September 12. I'm currently in the process of making an album for my band 'caretaker'. 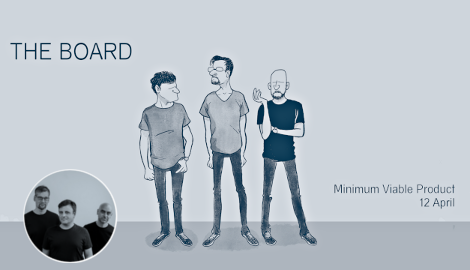 If you are into synth pop/EBM styles, check out our re-launched website at www.caretaker-online.de (site & music is all German, though). We've put a few snippets of new tunes online for you to take a listen. You've got the chance to see us live at the upcoming 'Wave&Gothik Treffen' in Leipzig on May 30th. Of course I've been busy. My band's album is making progress (planned for July) and at Magix, the upcoming release of Samplitude 8 is keeping us up all night. Musikmesse Frankfurt has opened now. If you've got the opportunity, come on over at Hall 5.1/B36. I'm back from holidays (2 weeks in Portugal, trying to surf the altantic waves, my body's still aching all over). For a few days, this page seemed to have been unavailable. I avoided any contact with computers for 14 days, so I didn't have a notion. Oh, and thanks for all the people who've written me in the last days, giving me positive feedback on my decision to stop developing for free. No updates for quite a while, I know. For several reasons. - digitalfishphones is leaving the freeware show. Yes. No kidding. No more updates of my software here. The whole story is here. - It's holiday time. After a huge work load, I'll be off for 2 or 3 weeks now. 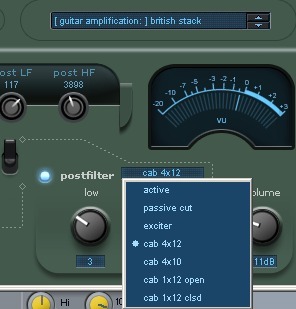 At last, the 'fish fillets' plugin package is available as AudioUnits for MacOS X! Urs Heckmann successfully compiled the three fish as one single AU component (version 1.1 as on the PC). Downloadable from the 'fish fillets' page. I've updated the v1.1 zip file of the 'fish fillets' (PC/Win): the 'blockfish' compressor tended to produce some low-frequency rumble noise at high saturation settings and the 'complex' mode switched in. This has been fixed as well as some minor changes within the compressor path. However, the version number is still stuck at 1.1. It's too much of work to change this in all of the three plugins, their interface and the manuals just because of 10 lines of code that had changed. If you're unsure that you've got the latest version: the new file 'blockfish.dll' is date of Feb 16. As soon as Urs Heckmann finds the time to change the Mac code, an equivalent v1.1 package will be available as well (VST & AU). digitalfishphones will slow down for the coming weeks. I am currently moving house here in Berlin and have tons of things going on in the 'real world' right now, so please accept the fact that the plugin stuff is not always on top of my priority list. I will 'unplug' the development computer as well as my studio gear within the next days, so I'll be unable to do much of support or code examination. Sorry for those who are still waiting for the 'fish fillets' AudioUnits versions for Mac OSX. The port by Urs is on the way and he recently started a beta testing phase of 'blockfish'. Drop him a mail (urs@u-he.com) if you wish to participate and give some input. The PC(Win) update of the 'fish fillets' plugin package (v1.1) is available now! Updated Mac archives will be posted in a few days. I'm back from Christmas holidays and are currently examining all those emails that came in the last two weeks. So please forgive me if you don't receive an instant response. The work on the PC/Win bugfixes for the fish fillets will start the next days and will hopefully fix issues with Cubase SX and Win XP usage. It seems we've sorted out some issues with the 'fish fillets' crashing on some machines. Urs has updated the Mac versions. Temporarily, he is hosting them directly on u-he.com. Just follow the links for the OS 9 and OSX archives. As soon as I get back home (still on holidays here), I will update the PC/Win versions as well. Thanks to all of you for the words about the 'fish fillets'. I receive tons of emails and requests though I regret I can't answer all of them at the moment. I'm currently at my parents' home for Christmas, my PC is 400km away from here and I only have occasional access to the web and my email. I'll be back in Berlin around Jan 03. For those who seem to have problems running the fish fillets under Cubase SX and Win XP: I will rescan the code and try to figure out whether it's me or Steinberg. Go directly here for downloading. 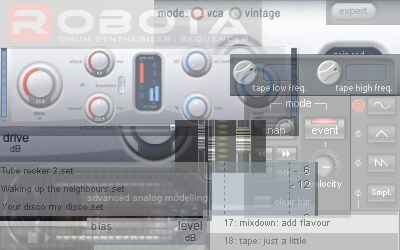 The Mac VST port is finished, the 3 plugins seem to work fine. I hope I'll get the rest done the coming week, 'cause I'll be off during christmas. Urs says an AudioUnits version is in sight as well. Such a port will also include 'dominion' the next year. No work on the manuals for the 'fish fillets' this week. "boooohooohoooo", I hear you say, but I can't change it. No time at the moment. The rest of the week, I'll be occupied with doing rehearsals for a gig my own band is having at the weekend; programming sounds, changing basic tracks... you know. Tons of work, so we'll see next week. Okay, the the fish fillets for the PC are ready to be served. I've passed the raw Mac files over to Urs, chef de cuisine Macintosh. He'll be heating the pan the next days and we'll see if they really taste or if we just get burnt offerings. In the meantime, I'll be writing the manuals so that you know what you are actually eating and where the bones are located. Some things have changed with the BLOCKFISH interface presented on the announcement page (1 new button, 1 new knob), but I'm too busy to make a new screenshot. Lay some fresh spinache over some pre-fried (only a little!) sea fish fillets (you can really go for block fish here :D), cover it with mozzarella cheese and a sauce out of cream, onions, lemon juice, salt, pepper etc. and bake it in the oven for 10 - 15 minutes. I've updated the screenshots on the fish fillets page. There's still a lot of work in progress, but I just wanted to present the new look. The BLOCKFISH compressor turned out to become a real bomb, I'm quite happy with it. The FLOORFISH expander is still a bit of a problem child and needs some extra time. SPITFISH is doing fine. Urs (the guy who compiles the Mac versions) and me needed to slow down a bit as we both have tons of other things going on in our lifes. digitalfishphones is back. Been once more too planet Sweden, the best place to rest in this galaxy. I felt far too exhausted from a huge project at work that I couldn't think of programming any further. Of course, this also affected that plugin stuff at home. It's been a week without the real Axis of Evil: computers. Okay, many people keep asking about the fish fillets. At present, I don't know when it's time for the three little fish to come out. I'll keep you updated. I've put the focus on warming and heating up a signal and simulating analog gear by means of a signal's envelope. I hope this works much better than the previous versions. Plus, this version is available for the PC AND for the Mac! Yes, you read right, all you Mac users outside, this one's for you as well. Both downloads (PC & Mac) can be found here. The Mac version was ported by Urs Heckmann (www.u-he.com), the creator of 'more feedback machine'. Urs will port other plugins from me to the Mac in the near future. I've updated the archive files (PC & Mac) for the normalizer plugin. By date of today, an archive only contains the plugin file for the insert slot. I've thrown away the 'synth' type as it is apparently not much of use. Synths can't be 'de-denormalised' due to conceptual reasons, but I've trusted the wrong people who said that it should work at least in Cubase. So I built a thing that wouldn't work. But the fx version is still available and might cure the denormal problem (if the cause of load spikes REALLY is denormalisation and not something else with your machine...). There hasn't been an update of this site for a while. 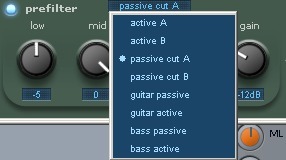 Fact is that I'm quite busy with my job, so there's plenty of time for the plugins. 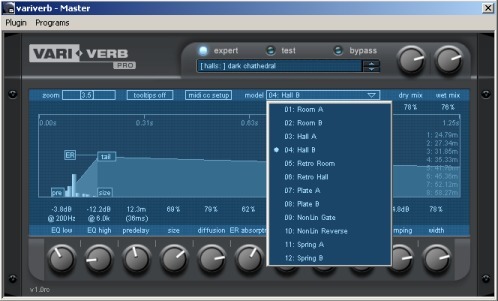 In addition to an article about 'denormalisation' in the German KEYBOARDS magazine, I've created a plugin called the normalizer. This has nothing to do with loudness, more, it doesn't apply an effect at all. The normalizer just prevents your machine from running into the so-called 'denormal mode' which has been a serious issue with the recent Pentium 4 but also applies to other processors (more precisely: the floating point unit). If you ever encountered serious load spikes whenever a plugin processes silence, try out plugging the normalizer in front of the faulty plugin within the VST chain. I've created two PC/Win versions (for the insert FX and Synth slot, the latter might only work with Cubase). Both are also available as MacOS versions. SPITFISH (the de-esser) is working smooth and actually doing what it is supposed to do. The new versions of endorphin and dominion are available now (both v1.1). I've fixed some bugs and changed the memory slot size to 10 possible presets on both plugins. Furthermore, the manuals are updated versions and include spelling/grammar corrections (thanks to Steve Dixon!). The old docs were looking far too pixelated. Now they should look fine on most systems (seems that I've found the right settings in ghostview...). I frequently get a lot of requests for more (and usable) presets in my plugins, especially for dominion, but endorphin as well. Sorry, I don't use presets that much and spend very little time on creating such. 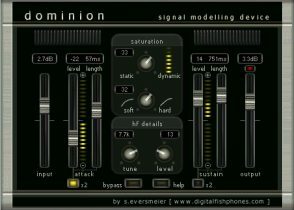 If you created presets for dominion or endorphin and would like to share them with others ('programs' or 'banks'), go ahead and send them to me (sascha@digitalfishphones.com). I will create a special preset area at this site within a couple of days. 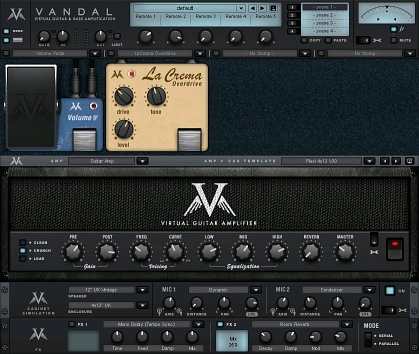 The upcoming v1.1 versions of the two plugins will provide with more memory slots. The plugin file is also included on the mag's CD data track, along with endorphin and THD. I'm currently working on a plugin package which I called 'the fish fillets'. This includes tools for everyday channel processing, easy to use, with a minimum amount of knobs and an intuitive interface. BLOCKFISH. 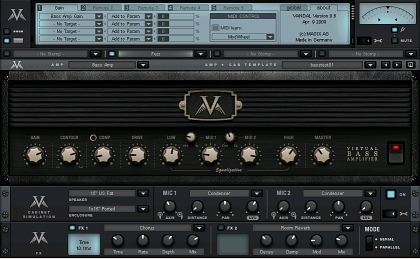 Simple versatile compressor for instruments & voice, includes 'compact' mode for dense material. SPITFISH. A smooth & gentle vocal de-esser. FLOORFISH. An easy-adjustable noise gate with variable floor level. Available within the next weeks (hope so...). I have just added a collection of my favourite links to the 'resources' section. Sorry, dominion is not finished yet. I got infected with influenzaBAD.knockout, my system's still running in safe mode. I've added a new section to this site named 'resources'. Whenever there's something on my mind that might be of use, I'll post it right there. As a starter, I've noted down some comments on mixing and mastering that came up since a few people have asked me about my point of view and if I had any recommendations. Good bye, f2s.com! Today, my old website has closed. As a lot of sites on the net are still pointing to the old location, I hope things will be fixed soon. If YOU see an old link like 'SE audio tools' or 'www.eversmeier.f2s.com' out there, please drop me a note. I hope I'll get things done within the next two weeks (including the time to write the manual...). Updated the 'visitors' section. You can now browse through the guest book with a little subnavigation. This takes less time to load. I was amazed about the resonance to the relaunch of my this site and what you girls & boys think about the new release of endorphin. Meanwhile, I am busy again. Last weekend I moved on to a new plugin project called 'dominion'. When finished (in a couple of months), it will take THD's place. What you can expect: I call it a 'signal modelling device'. It will serve as an insert unit to heat up single sources such as drum tracks and allow adjustments on saturation, coloration and transient response.